You are at:Home»Immigration Issues»How Many Visa Overstayers? 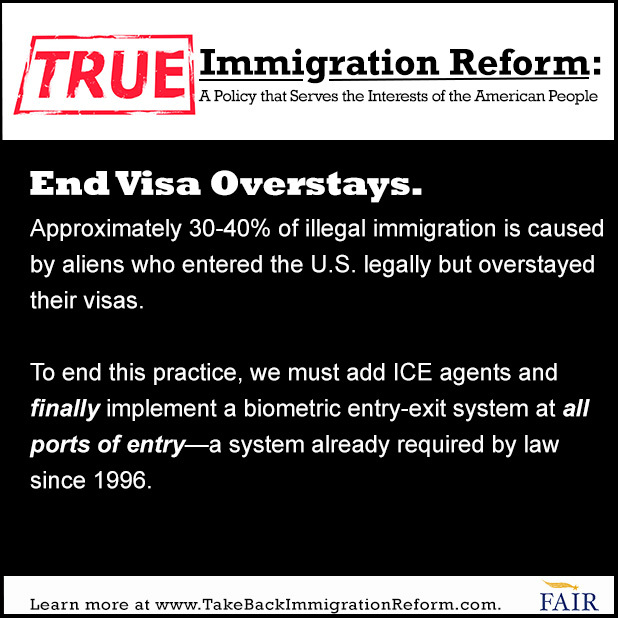 Official sources have cited a rate of one-third and two-fifths of the illegal alien population as visa overstayers. Pew researchers have cited a range of 38 to 50 percent. The GAO has issued estimates of 23 percent, 31 percent and 57 percent using different methodologies. Now the Pew Research Center has issued a new report on jobs held by illegal aliens that raises a new question about the share of visa overstayers. The Pew researchers say that of an estimated 8.1 million illegal aliens in the workforce 13 percent are in professional or managerial jobs. Most of the others are in service, construction, production, or agricultural jobs. This raises the question of how many persons residing illegally in the United States and doing manual or blue collar work entered the country with visas? The immigration law requires visas to be denied to persons who do not overcome the presumption that they will violate the visa and stay in the United States. That provision of law diminishes the likelihood that someone who ends up in low wage work in the United States will have received a visa. It is likely that the 13 percent of illegal aliens working in higher wage professional or managerial jobs entered with a visa, but few of those in the low wage jobs entered in that way. This conclusion takes on greater likelihood in the context of the only study done on the 1986 amnesty population where 25 percent of the non-agricultural worker amnesty beneficiaries said they entered with a visa. If the agricultural worker beneficiaries were included in the data, that share would presumably have been much lower. 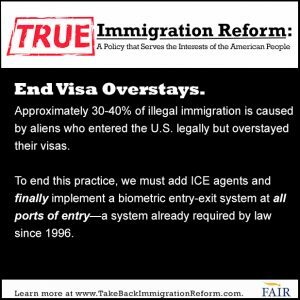 Why does it make a difference whether half or two-fifths or one-third or fewer than one-fourth of the illegal aliens are visa overstayers? The proponents of an amnesty for the illegal alien population generally use the highest estimates of the overstayer population as that fits with their argument that the illegal aliens will display rapid upward mobility if they gain legal status. 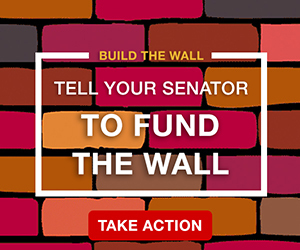 If, on the other hand, most of the illegal aliens sneaked into the country and are in low wage jobs because they have low levels of education and work skills, this raises doubt about their ability to benefit economically from an amnesty. That implies future reliance of social assistance programs that are legally unavailable to them as illegal aliens. And, it also means a new burden U.S. taxpayers. Previous ArticleBorder Crisis not Over, Despite Administration Claims of Fewer Minors Entering U.S. The visa overstay problem implies that American “white collar” – not just “blue collar” positions are being imperiled. Sorry, but will not trust anything that Eric holder’s justice department puts outl. 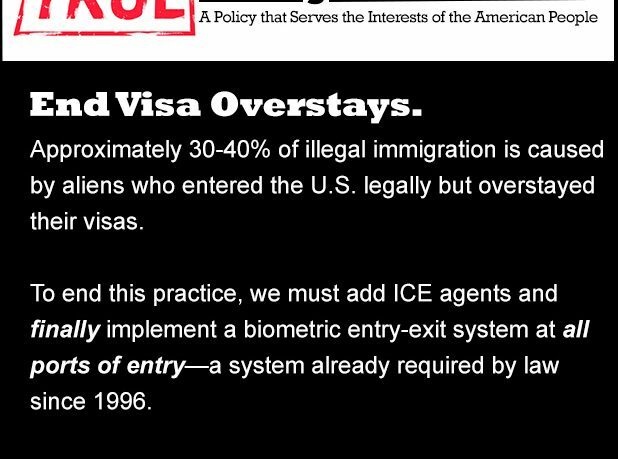 I have read visa overstays make up 43% of illegals. Moreover, to try and advance the argument that all is hunky dory cuz they snap up white collar jobs is ludicrous! A report on NBC News said that that the Sierra Nevada snow pack, which provides a lot of California’s water when it melts, recorded it’s lowest depth ever. In response, Jerry Brown, Barbara Boxer, Diane Feinstein, and Nancy Pelosi made an emergency call to the president of Mexico to tell him to send more of his countrymen to California with no delay. I mean, when you’re stuck on stupid, why stop now. Saw it too. My other child in Cali will suffer for the ruination of CA by liberals and conservative religious fools. These twits propose everything EXCEPT the closing of the borders and the cessation of the immigrant flow into this country. Said it a thousand times: if you think the USA has a continuous bounty of natural resources, look up California’ problems. Resources are finite.